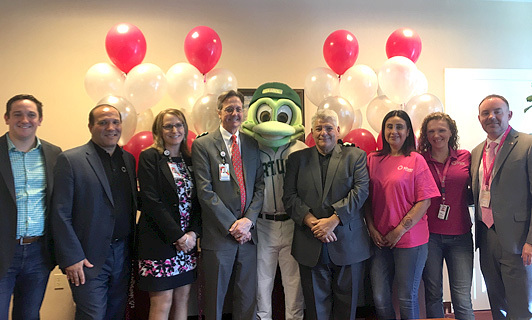 Fort Lauderdale, Fla., 2018-Dec-06 — /Travel PR News/ — Whether you’re a race fan, catching an MiLB Daytona Tortugas game or visiting the famed boardwalk and beaches, Silver Airways is expanding its already extensive Florida network making it even easier to visit the Sunshine State’s Atlantic Coast with new daily nonstop service between Fort Lauderdale-Hollywood International Airport (FLL) and Daytona Beach International Airport (DAB) starting January 16, 2019. This entry was posted in Airlines, Airports, Business, Flights, Travel, Travel Services, Travelers and tagged Daytona Beach International Airport, flights, Fort Lauderdale-Hollywood International Airport, Kurt Brulisauer, Mark Gale, Silver Airways. Bookmark the permalink.